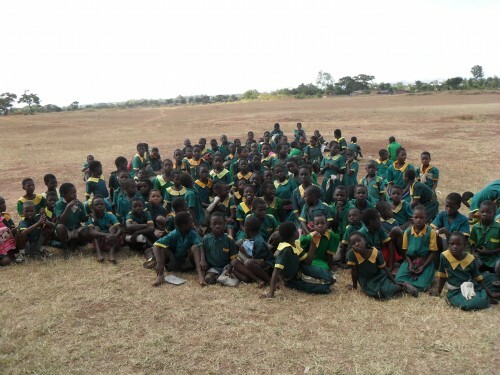 Global Hope Mobilization is a non-governmental organization based in Lilongwe, Malawi. Global Hope Mobilization, also known as GLOHOMO, concentrates its efforts on creating sustainable communities by focusing on health issues, human rights, good governance, climate change and education. GLOHOMO recognizes that areas with poorly constructed water sources are vulnerable to contamination and water-born diseases. Do Good Lab is partnering with GLOHOMO in the construction of a borehole for the Nkukwa Primary School and the Kalumbu community outside of Lilongwe, Malawi’s capital. The borehole will provide a sustainable, clean-water resource for the students, staff and the surrounding residents. The cost to drill and construct the borehole is approximately $10,000, including labor provided by the community itself. The borehole is projected to help 1,384 primary school students by providing access clean drinking water. This will aid in lowering the prevalence of waterborne diseases and other diseases that arise from poor sanitation and poor hygiene. GLOHOMO anticipates that the installment of the borehole will also increase school intake/enrollment. The impact of this project will extend to the overall community of the Nkhukwa village in T/A Kalumbu. There are 90 households in the Nkhukwa village, with an average of 9 people per household. Women (those typically responsible for garnering water for the household) will no longer have to walk long distances to fetch unclean water from nearby rivers. GLOHOMO anticipates that with the installation of the borehole, the disease burden due to unclean water will drop for the community as a whole, thus productivity of the households will improve and infant mortality due to waterborne diseases will drop. Posted by Shannon Radsky on Wednesday, April 11th, 2012 at 9:11 am and tagged Lilongwe, Malawi, Water.